Rachel Von | The Journal Gazette The Mad Ants' Rob Gray tries to keep the ball away from the Stockton Kings' Taren Sullivan, a native of Lima, Ohio, at Monday's game. It was ugly. It wasn't just that the Mad Ants were turning the ball over. It was how they were turning the ball over. The errant passes were going to dead space, sometimes into the stands, and the Mad Ants' 110-104 loss to the Greensboro Swarm on Dec. 30 at the MTI Center in Angola was, in some respects, a low point. The Mad Ants had 25 turnovers – a season worst – that led to 26 points for the Greensboro Swarm. The Mad Ants have protected the ball more since that game,and the results have been evident. They have won three of their last four games, bringing them to the top of the Central Division at 12-11 heading into today's 7 p.m. game at Memorial Coliseum against the Erie BayHawks (11-11). “We're taking care of the ball and that's a good start for us,” Stephan Hicks said. Since the loss to Greensboro, the Mad Ants have averaged 12.8 turnovers per game and allowed an average of 14.5 points off turnovers. The Mad Ants' goal is to turn over the ball only 12 times per game. 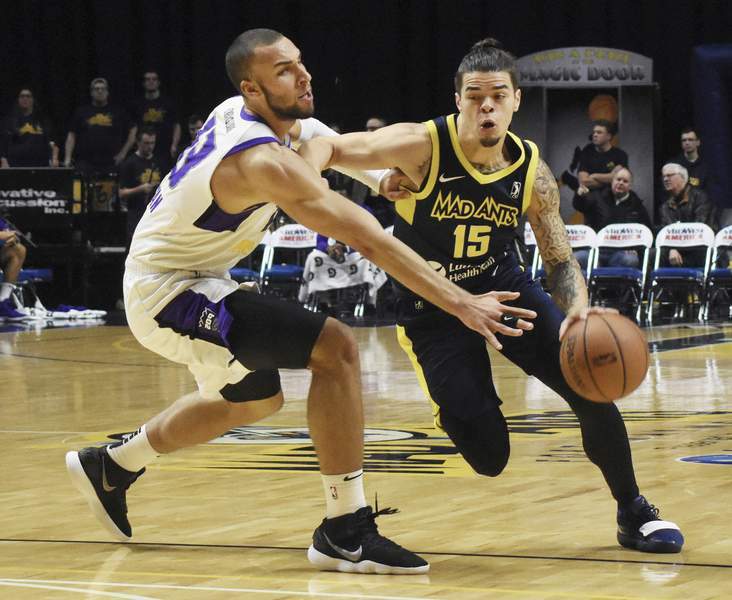 They've met that goal twice since the loss to Greensboro, turning it over 11 times in the 125-120 victory over the Wisconsin Herd at the Coliseum on Jan. 4 and nine times in the 127-99 road loss to the Iowa Wolves on Saturday. The good news for the Mad Ants is that some of the turnovers this season can be explained by fluctuations in the lineup through the affiliation with the Pacers – Edmond Sumner and Alize Johnson are expected to remain with the NBA team today – that have meant a lack of cohesiveness. The bad news is that when the Mad Ants get into a run of turnovers, they are often bad turnovers. Gansey said the only way to cut down on the mistakes is to continue watching film and practicing them out of the players. “We want to push (the pace) but we've got to be smart with the ball,” he said. “Some of these bad turnovers, like the travels, throwing the ball all over the place, we can't have that.